Pleased that Tassos Kotzanastassis moderated the Real Estate – Greece & Cyprus panel at the European Investment Summit on the 11th and 12th of October at the Royal Olympic in Athens. The Summit was organised by the DDC Financial Group. 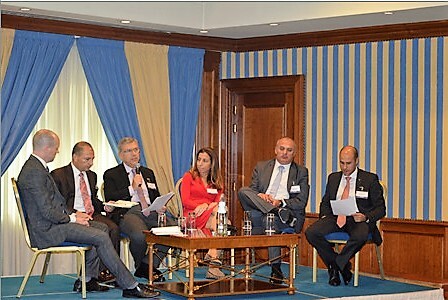 Panel Discussions focused on different areas on distressed investments in Greece & Cyprus such as banking, legal framework, real estate, servicing as well as investors’ perspective on discussed markets.